All these years, the Charcoal hitmaker still couldn’t boast of a body of work. Hence, he has decided to end the year in style, gifting his fans a Hip-Hop project. 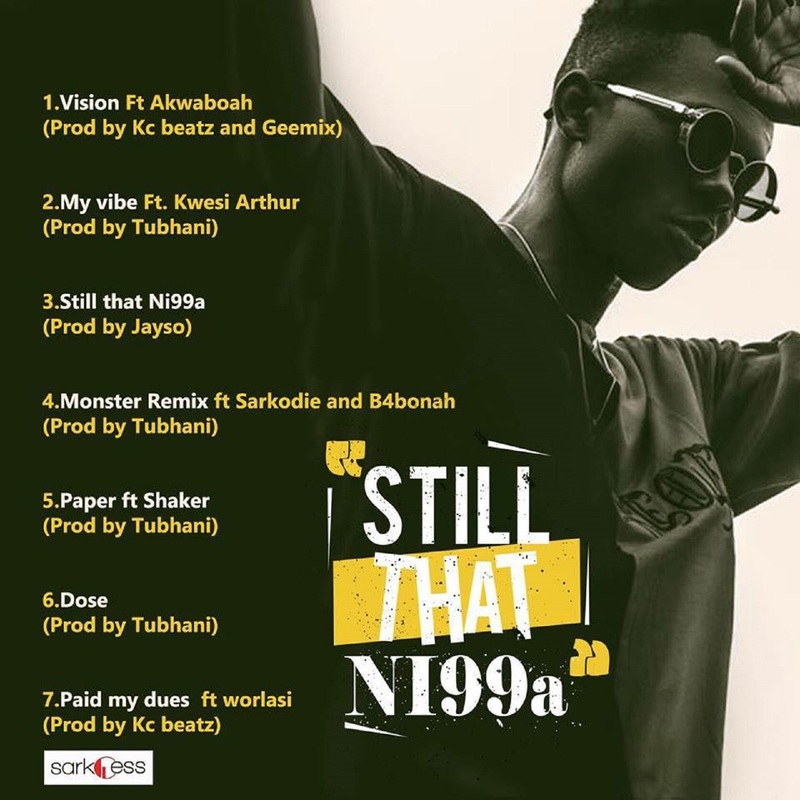 The Extended Play (EP) titled Still That Ni99a abbreviated as STN is a collection of songs that prove that he’s still your favourite mic dude. Recently, his major releases have been Afropop/Rap, which isn’t the genre that ushered him into the game. Strongman started solely as a rapper, when he emerged winner at KFM rap competition during his senior high school days. He went further to be crowned as the Next Big Thing in GH Hip-Hop. The tone of the project is set with Vision which features soulful singer Akwaboah. The Kwesi Arthur-assisted My Vibe follows right after. The emcees drop bars on what keeps their fire alive, and condemn acts of hatred and things that kill their vibe. This song may become a Hip-Hop anthem, and a perfect fit for a Corolla playlist. Strongman had a lot of things to say on the third track Still That Ni99a. Halfway through the sonic experience, Sarkodie steps in to deliver his words on Monster (Remix). Strongman has a new verse on this song which was largely slept on by lots of the media personnel, I hope you don’t as well. Paper which features Shaker addresses a topical issue, money. Strongman known for his ability to deliver on a substantial track nails it, then King Hook smoothly seals its beauty. When you get to have a dose of Dose, kindly take time to analyze every bar. The media personnel were put in a frenzy when Paid My Dues featuring Worlasi came on. From the instrumental to the hook and verses, the song ended up as majority’s favourite. The album will be released on December 5, pre-order here on iTunes and an album signing event will be held at Pinkberry, Kumasi City Mall.